The revival of traditional printing methods has been afoot for the last decade, and the tactile charm of letterpress has ensured that its popularity is on the rise. 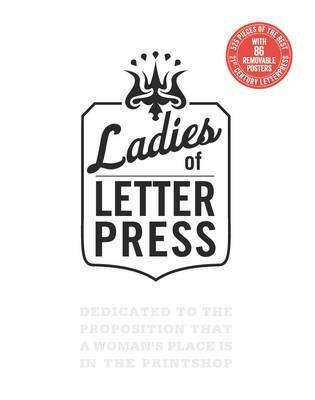 Ladies of Letterpress is an organization that champions the craft, and in particular seeks to showcase and promote the work of women printers. A gallery of art by its members, the work in Ladies of Letterpress ranges from greetings cards to broadsides and posters, and is offered in a cornucopia of type and illustration styles. What comes through clearly, though, is the quality of the work: every one of these pieces is worthy of display on your wall, and with 80 detachable pages, you can create an instant and beautiful gallery of your own.